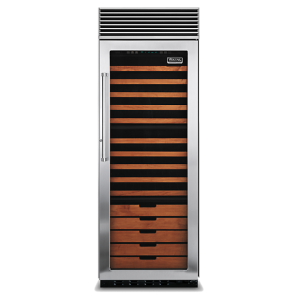 The Viking Professional full-height wine cellar provides horizontal storage for up to 150 bottles of your favorite vintages. 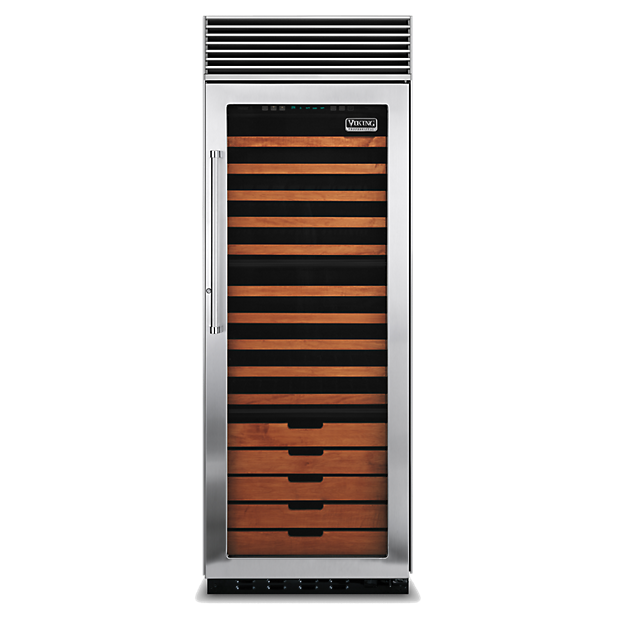 The exclusive TriTemp™ Storage System features three separate temperate zones to preserve different types of wine at their optimum serving temperatures. 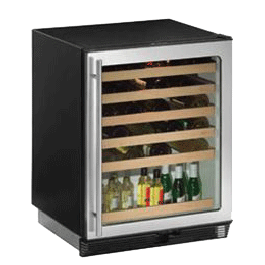 Full-width shelves pull out for easy access to standard, magnum, and half-size bottles.